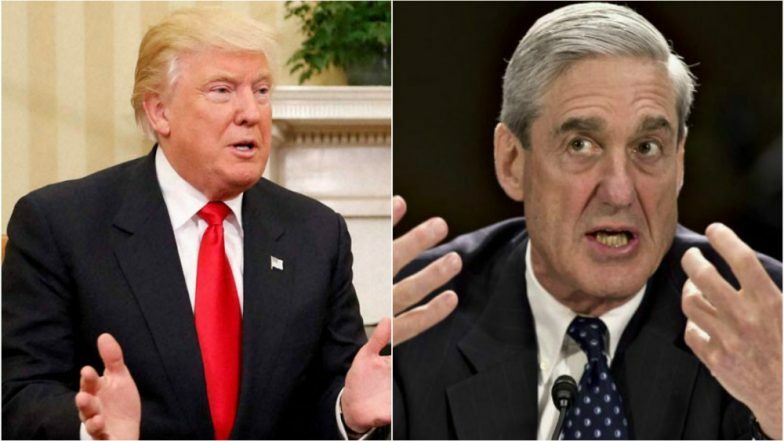 Toronto, March 25: US Special counsel Robert Mueller’s investigation did not find that US President Donald Trump’s campaign or any of his associates conspired or colluded with Russia to interfere in the 2016 presidential election, according to a summary of the investigation’s findings submitted by US Attorney General William Barr to the US Congress on Sunday. “The Special Counsel’s investigation did not find that the Trump campaign or anyone associated with it conspired or coordinated with Russia in its efforts to influence the 2016 U.S. presidential election,” the summary read. On the question of whether the president might have sought to obstruct the high-profile investigation after his frequent rants on Twitter against the probe, Mueller’s team did not offer a definitive answer. “The Special Counsel . . . did not draw a conclusion — one way or the other — as to whether the examined conduct constituted obstruction,” Barr’s letter said. “The Special Counsel states that ‘while this report does not conclude that the President committed a crime, it also does not exonerate him,” the letter said. In the course of the two-year long investigation, Mueller and his team have charged 34 people - including six former Donald Trump aides and a dozen Russians - as well as three companies. But after submitting his findings, Mueller has recommended no further indictments of anyone, leaving many in Trump’s camp to claim vindication. "The report does not recommend any further indictments, nor did the special counsel obtain any sealed indictments that have yet to be made public," the letter states.